IDEHS foundation was established the 1st of July 2004. With ESHS and the Iruaritz Lezama Foundation as their patrons. 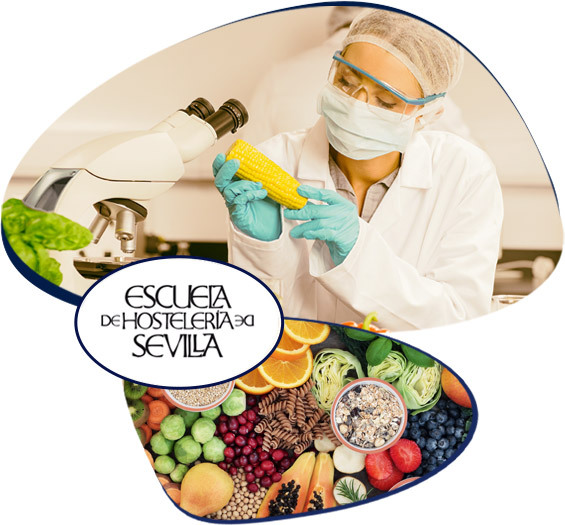 IDEHS Foundation (Seville Hospitality School Investigation and Development) focuses its activity on the hospitality, tourism, agriculture and nutrition sectors, reaching a very important interaction with the students of the school. The basic pillars of the foundation´s work are the promotion of culture, nutritional health management and the empowerment of the Spanish agriculture sector through gastronomy. The target audience for our services are the small and medium-sized enterprises, public and private institutions that belong to the sector, professional associations and other related schools. IDEHS foundation is considered a referent on the innovation and development in the world of hospitality and tourism which are vital points in the local, regional and national economies. From IDEHS we bet on investigation as it is one of the most relevant tasks a high level business has to manage. We are completely aware of the fact that innovation must be treated as a fascinating activity and a constant challenge for those who love this profession. The foundation, whithin the ESHS, makes posible that all this ideas and projects can count with an educational community focused soly on the development of said projects. Training approach focused on the academic development of the school. IDEHS foundation activity is focused on the academic education that aims to improve the professional skills of the students. To achieve this goal, the foundation organises gastronomic seminars, informative workshops and academic forums where we display the latest advances discovered on the fields of gastronomy and nutrition. IDEHS is in charge of promoting and coordinating the extracurricular activities related to the school. IDEHS is also in charge of the management of different agreements with public and private entities serving as a link between the students and the labour world. The foundation coordinates different formative activities with schools and foreign educative centres with the intention of establishing relationships between them and ESHS. Technical-scientific counselling approaches for public and private institutions. Simultaneously, IDEHS also offers counselling to different public and private entities on the technical-scientific field. We offer training and counselling about different aspects of science and technology that also applies to our student’s education. IDEHS also carries out gastronomic innovation projects in order to optimize and improve on the agriculture industry bringing new products which would lead to a better commercialisation. IDEHS is in charge of promoting and coordinating the different extracurricular activities related to the school: trips, ludic activities, competitions, sports, etc. In addition to this, it also coordinates many formative activities with schools and foreign educational institutions with the aim of developing bonds between them and ESHS. Training aimed at the academic development of the school. Exchanges with students of international schools. During the course, the school carries out many student exchanges between schools and formative centres from all over the world including countries like Italy, Norway, The U.S.A or Mexico. Gastronomic workshops and monographic food courses. Cultural Exchange and education are two of the pillars of the foundation and each year they get us closer to the agriculture companies. Thanks to them our students have the opportunity of learning the most innovative ways of treating the product with cutting edge technology and by the hand of specialised chefs. Promotion of physical activities in the ESHS. Our comprehensive style of training must teach our students how to develop healthy habits. That is why along with subjects such as nutrition and dietetics, IDEHS foundation promotes physical activity through seminars and sport activities. Technical-scientific counselling to public and private institutions. Inside the technical-scientific counselling area, the foundation develops different projects. Gastronomic and nutritional counselling to the Spanish national church in Rome. Elaboration of the menus served at the national church in Rome and the supervision of its adequacy. Academic training on the Prolibertas foundation. Development of formative actions and monitoring the activities carried out on the course in cuisine for restaurants. Nutritional counselling for the TV program “La Bascula”. Food counselling and nutritional education services on the TV program “La Bascula” on Canal Sur TV. Nutritional and dietetic counselling on the elaboration of the menus on the school´s dining room. Study of the dishes and menus offered in the school. Nutritional advice and Healthy dietetic plans. Gastronomic and technical counselling to agriculture sector companies. Presentation of new recipes and dishes elaborated with products from different agriculture companies: Pascual, Inés Rosales, Selectum, etc. Formative counselling in gastronomy, nutrition and food security for the Onna Adoratrices foundation. Development of academic and formative activities on the nutrition, gastronomy and food security course for people at risk of social exclusion and social integration difficulties. . Promotion of extracurricular activities on the ESHS. Trips to different touristic development centres, agriculture sector companies, food fairs, etc. As a part of the technological-scientific training, the students get the chance to participate in different activities that add value and promote the interaction and human relations. Celebration of competitions and debates for students. The humanistic education and the Exchange of criteria between the students is a key factor for their personal and professional development and for that, in IDEHS foundation, we promote dialogue and reflexion about different social and gastronomic matters and give them the chance of expressing their points of view. IDEHS foundation and its social integration work. The foundation´s primary focus is the promotion of nutritional health and gastronomy as educative tools for populations in risk of social exclusion. That is why we are currently developing two projects aimed at the professional training on the field of gastronomy, nutrition and hygiene focused on social and labour integration of people with special necessities. The first Project is developed within the Polibertas foundation facilities in Algeciras. In this centre, they impart a cooking course of 3 months of duration where the students receive basic notions of dish elaboration and Mediterranean-based menus as well as the specific training in other areas such as patisserie, restaurant service, food hygiene, etc. In addition to the theoretical classes, the students carry out a real catering service at the centre´s dining room which is opened to people related in some manner to the foundation and where they are able to put into practice everything they have learnt. Additionally, the foundation also collaborates with Onna Adoratrices in Seville. In this centre they train women in danger of social exclusion on the fields of cuisine and hygiene. This way, the foundation provides the necessary training for them to integrate in the labour world. In addition to this they also import basic cleaning techniques and hygiene of installations. This training is imparted at the Hermanas Adoratrices´s facilities during the evening in order to fit with the student´s working schedules. This way, IDEHS foundation applies the “Learning by doing” system to their formative social labour. A system that has been promoted by the ESHS since its foundation in 1993.